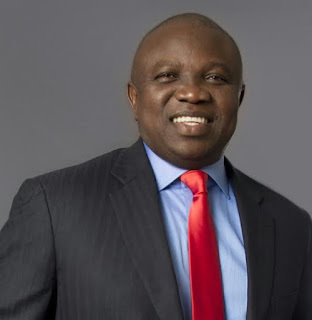 The Lagos State Governor, Mr. Akinwunmi Ambode said his administration is working at attaining 24-hour electricity power supply through generation of 3000megawatts in the next five years, reports NaijaAgroNet. Speaking at Lagos House in Ikeja after receiving the report of the Embedded Power Technical Committee constituted by the State Government with representatives from the public and private sector, Governor Ambode noted Wednesday that the quest by the country to achieve energy security could no longer be left for the Federal Government to address alone. He pointed out that while the Federal Government continues in its efforts to resolve the power crisis, the sustainable solution going forward would be the pulling of commitment and resources of all stakeholders in the power value chain. He explained the rationale behind the embedded power initiative of the State Government, saying that the major bane of the power situation in the country has always been with transmission, adding that the initiative was designed to permanently resolve power crisis in the State and by extension in the country. “The reason why we embarked on this initiative is that we believe strongly that if the power problem is solved in Lagos, it is technically solved in the whole of the country and so because Lagos has more or less tested a solution that works, we can scale this up and also address it on a national scale,” he said. Ambode also noted that the problem of power in Nigeria rest with transmission and that is the truth. “Yes, we have generating companies and we have distributing companies and they say power is in the hands of the private sector but we know technically that that is not totally true. We also know that transmission is hundred per cent owned by government but we have tested here in Lagos and we have been able to provide 48 kilowatts of power without transmitting it which means that we generate and then distribute. Further, Governor Ambode said the target of the State Government is to generate up to 3,000MW of power through accelerated deployment of various embedded power plants in strategic locations in the State within three to five years. “Out of the 3000MW, 350MW will be delivered by Q1 2018, additional 850MW by Q4 2018, and the balance of 1,800MW not later Q3 2022,” he said, while the State Government will support the Power Purchase Agreements (PPAs) to be signed between the Distribution Companies and the embedded power providers, to enhance bankability of the projects.